I never owned G1 Quake. In fact, he kinda slipped off my “known character radar” entirely. 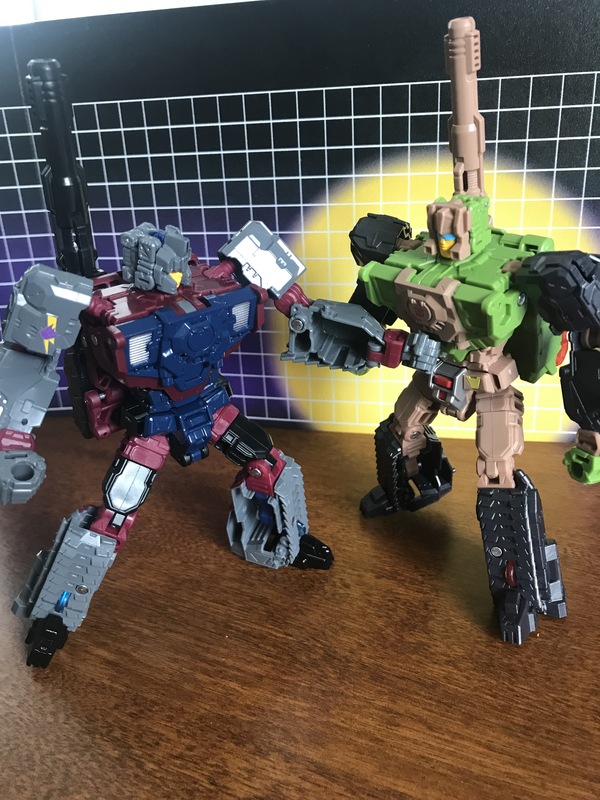 Where as Krok has IDW to boost his popularity, Quake remained relatively “who now?” status. Quake was a Target Master in the G1 days. 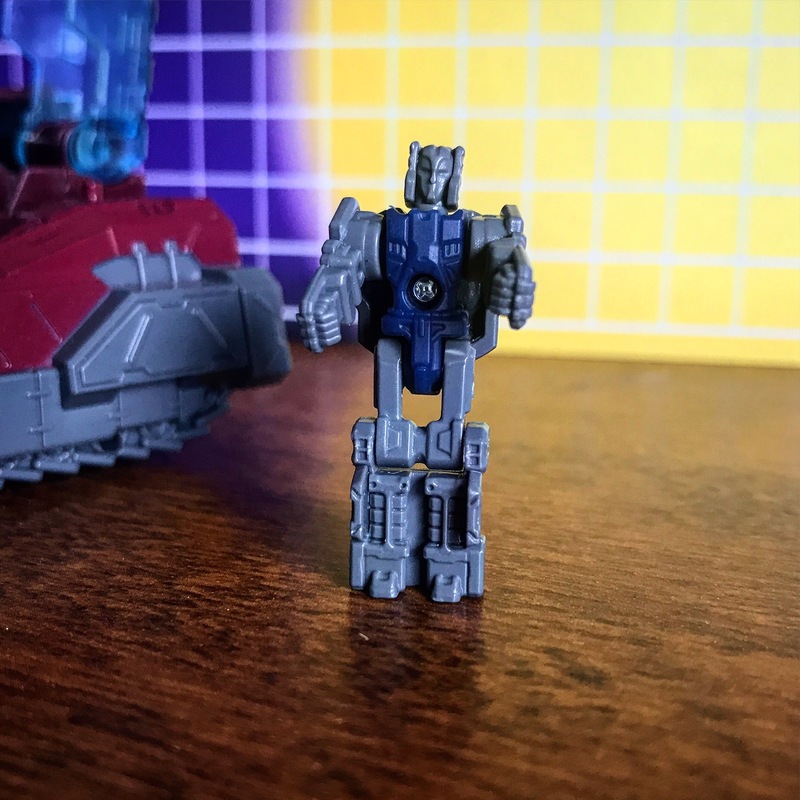 Now, he’s Titan Master, and uses the same Halo Scorpion/Future Tank mold as Hardhead. 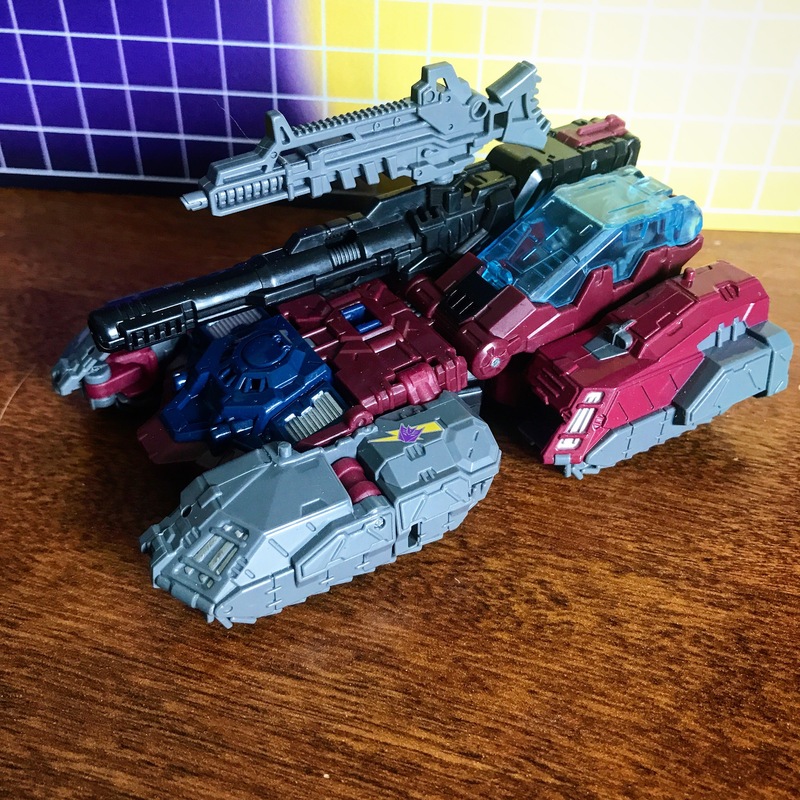 I actually really love this mold. It has a TON of Titan Master pegs! His Titan Master is Chasm, which is another AWESOME name. 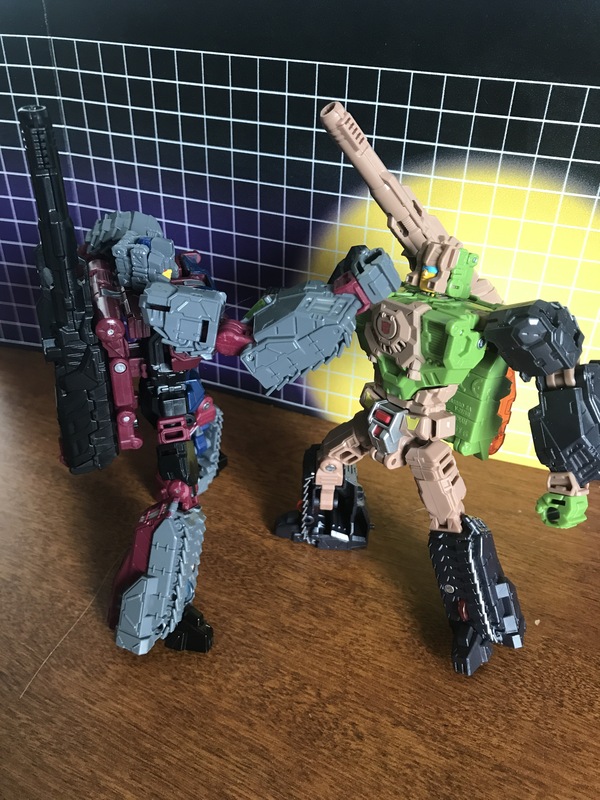 Chasm uses the same mold as Hardhead, but with a new face on his back. 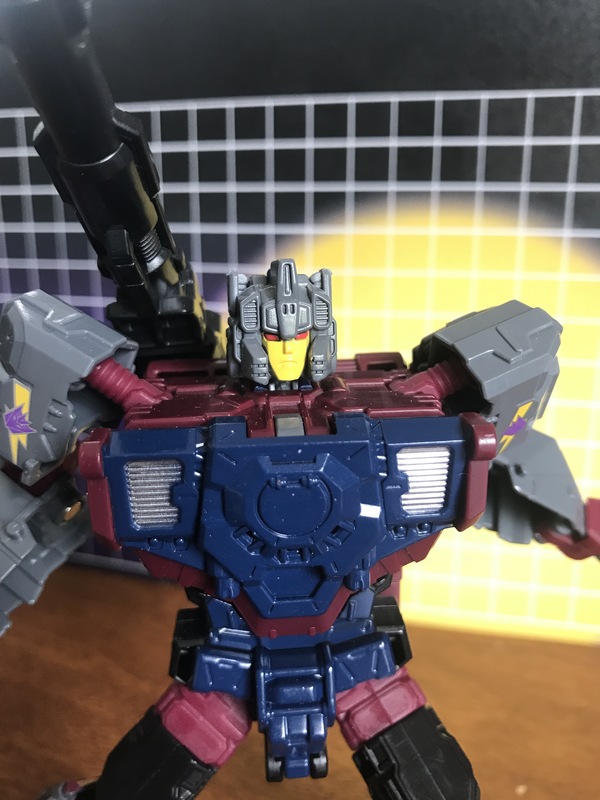 The new head sculpt is great. 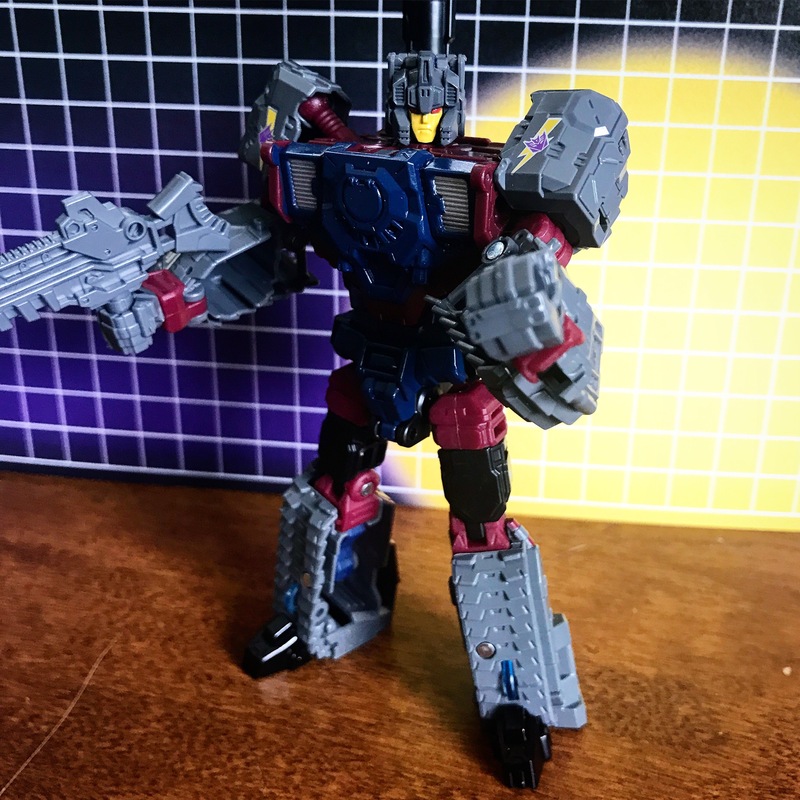 I’m a big fan of this deluxe mold, and I think it works great for Quake. 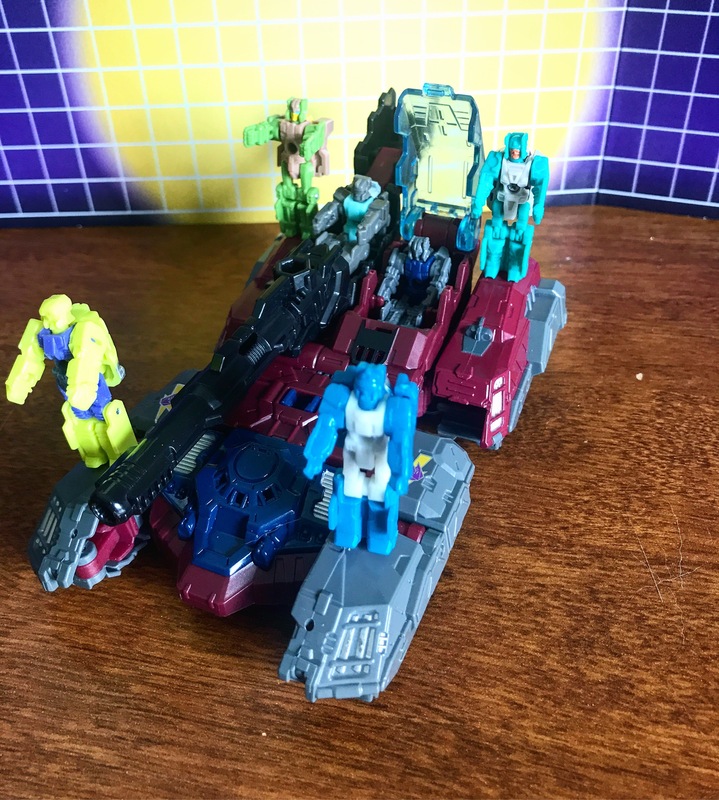 The problem is, Quake has to compete with three brand new deluxe molds in the wave, and with Krok being unique in that he was an Action Master, Quake ends up being kind of the vanilla of the wave. 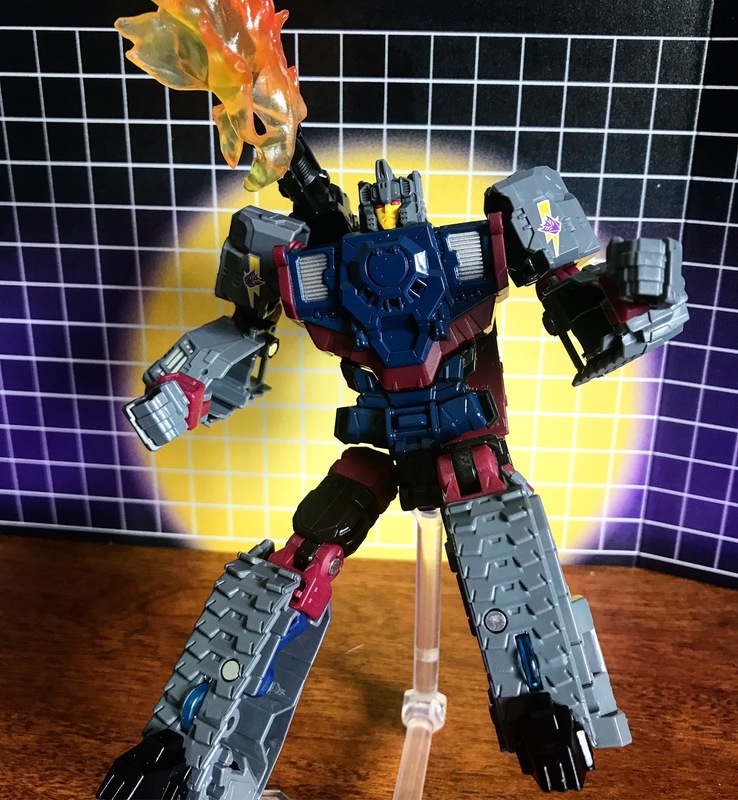 His colors are great and I love the tampograph lightning bolt designs from his G1 toy for sure! I would love to see the rest of the Double Target Masters done. 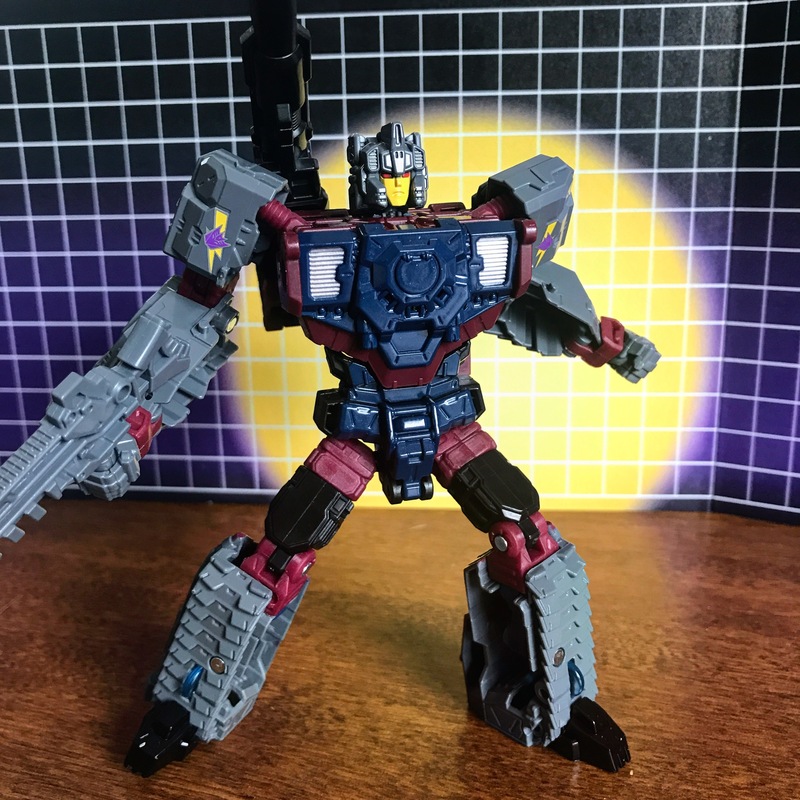 We got Scoop back during the IDW Generations run, and we know that the next wave should include the Jet Target Masters Misfire and Slugslinger, as we’ve seen images of their designs at this point. I’m hoping we get the cars too, or at least Sureshot. The Double Target Masters are far less known though so I won’t hold my breath. But man would I love a Landfill.